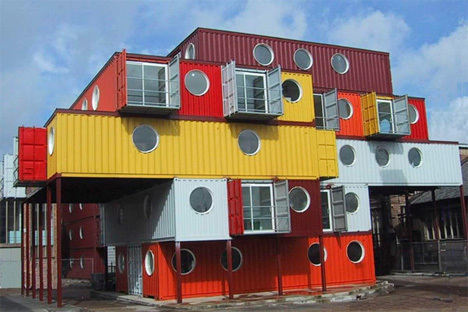 Container City, located at Trinity Buoy Wharf in London, is a large-scale container home community. The first phase went together in about five months in 2001, with a second phase being added in 2002. More than 80% of the building is comprised of recycled materials, making it a very environmentally-friendly community housing area. The individual containers are used as living space and artist studios.